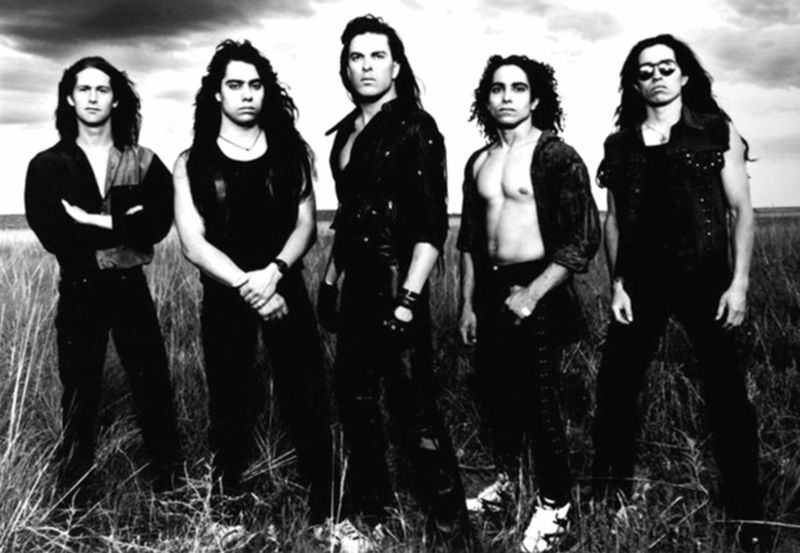 Colorado Springs in 1983, Mario Flores (g) his siblings John (b,v) and Stefan (d) got together to form a metal band. In the beginning the band was named Titan and released a 4-track demo tape a few months later. After the demo release the recruited Bill Richardson as a guitarist/keyboardist. This line up persisted a few years, before they managed to find a vocalist after renaming themselves to Titan Force. Harry Conklin, known for his work with Jag Panzer, joined Titan Force in 1987/88 after being involved with Satan's Host and playing a few live shows with Riot. The band got in contact with Harry in the early days when Titan played a few times as an opening band for Jag Panzer.Harry Conklin, with his unique vocal style, added a whole new dimension to the Titan Force's sound, which developed from heavy metal to melodic power metal with a progressive touch. The 2-track demo tape with the songs "Fool on the run" and "Immigrant song" was recorded. 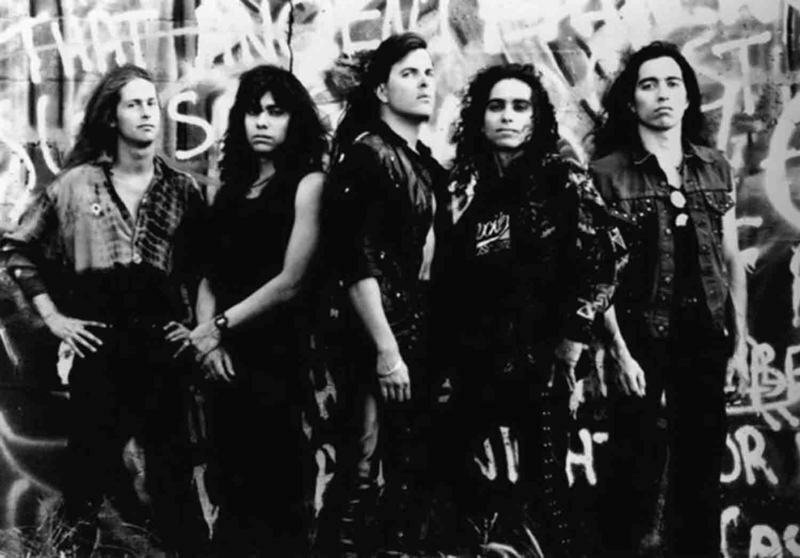 But even though Titan Force managed to play a very unique type of power metal mixed with progressive elements, no record company offered the band the ability to release their material at first. Since their first demo didn't get positive reactions from record companies, the band entered the stage once again to record the professional 5-track demo tape entitled "Blaze of Glory". This demo tape was the reason for a small German metal label (U.S. Metal Records) to offer the band a contract. The self-titled debut album was released on that label in 1989 and received fantastic acclaim in most fanzines and magazines. Due to being signed to a small label like U.S. Records the album didn't sell nearly as well enough to match the music's promise. 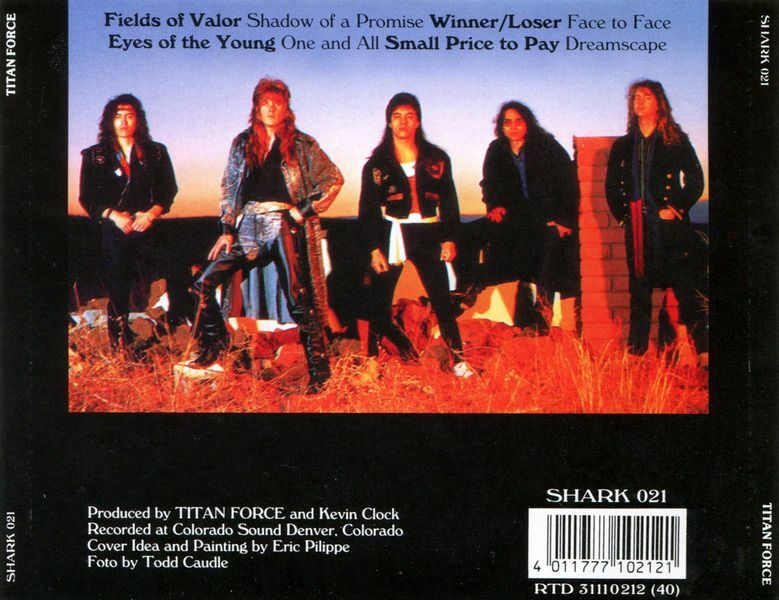 Nonetheless, U.S. Metal Records kept Titan Force under contract for another album, which came out in 1991.Though "Winner / Loser" offers songs which are a bit easier to listen to than its predecessor, it still contains lot's of progressive, almost jazzy, parts. But like "Titan Force" the album didn't sell well enough and in the end U.S. Metal Records, which by that time merged with another small record company (Shark Metal Records), cancelled the record deal. Without a deal but already having a few new songs, Titan Force were finally able to play a very short tour in Germany, together with Anvil and local newcomer Scene X Dream. Once again the critics were enthusiastic about Titan Force's music and live performance. The 2 new songs "Darkness" and "Only The Strong" that Titan Force introduced to the German audience were later used on a 4-track demo CD called "Only The Strong" which the band recorded to find a new record deal. Unfortunately times in music were changing, and in a time when Grunge was popular, no record company was willing to sign a band like Titan Force. When Harry Conklin got the offer to rejoin his first band Jag Panzer he couldn't turn the offer down. After Harry's departure, the band Titan Force began to fall apart, and when Bill Richardson died it was the end of the band for a long while.The Flores brothers first carried on under the name of Hip Pocket and played radio oriented rock. Harry Conklin nowadays is better known for his work in the still active Jag Panzer while Titan Force, after a handful of reunion shows (for example Germany's Bang Your Head!? Open Air 2002) is on hold. After their reunion there were rumors going round about Titan Force recording a new album, Unfortunately this album hasn't been released yet. A little over 10 years ago I unearthed the legendary 1984 release Ample Destruction from Jag Panzer. To this day it easily remains one of the undisputed champions of all classic metal under my watch with omega star vocalist Harry Conklin at the forefront. Naturally I connected the dots and followed along his career to see what else he has been a part of and eventually came upon this band Titan Force. 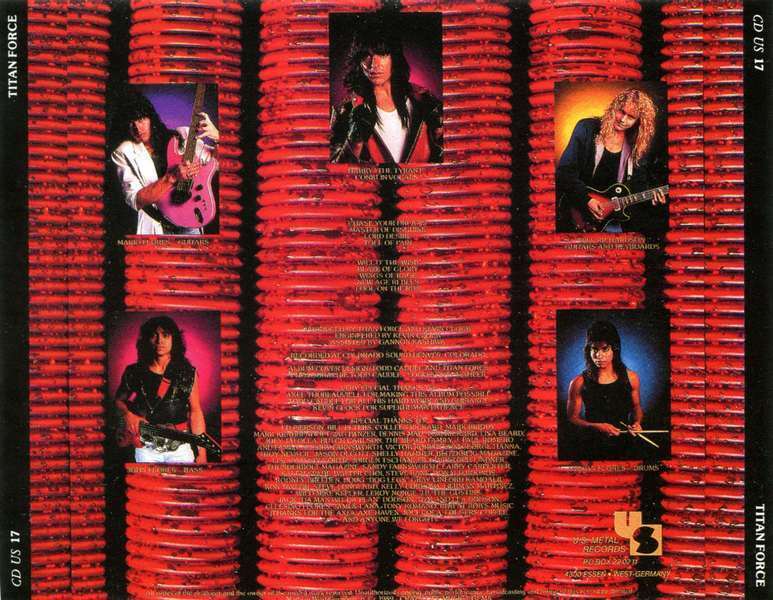 Truth be told I actually wrote up an average scored review for this album and maybe the follow up back then and wasn't too impressed. As always, time is the real ultimate test and Titan Force has become part of the nonstop frequent rotation over the years and won't be leaving the main deck. Back then I was more about the thrashier speedy side of classic USPM, Liege Lord and Omen were my main course, paying little attention to the rest. Despite the fact that I have always been a fan of Queensryche since I was a kid, it was only a matter of time before the more melodic and progressive side of USPM would sink in.EP and The Warning era Queensryche would arguably be the best comparison to be made here but I wouldn't take it too literally. There are many imitators of classic Queensryche, but some bands play it too safe, or slip too far into one genre littering an album with way too many ballads, or some thrash without much variety, or the experimentation just simply falls flat. 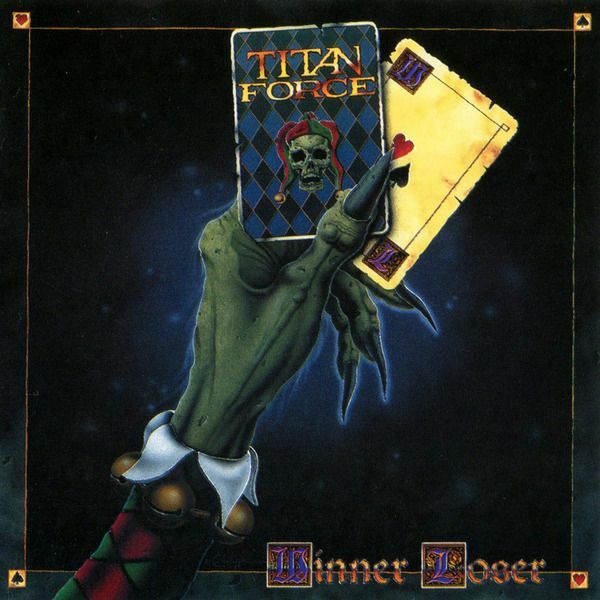 Titan Force take some of those blueprints and inject their own style into it, with an Iron Maiden styled emphasis on a more aggressive guitar sound and amazing leads and solos. Topped off with the addition of an excellent and uniquely sounding production, Titan Force truly sound like their own thing entirely and I actually struggle to think of many comparisons. Think somewhere alongside Fates Warning and Crimson Glory.One huge aspect I really love about this album is how uplifting it is both lyrically and how the songs unfold, it's a very empowering and energetic release from start to finish. Instantly perks me up if I'm ever in a dark place. Very ironic considering Harry Conklin joined the band right after leaving the devil worshiping Satan's Host! I really cannot emphasis enough just how amazing this production and mix is, everything is crystal clear while it has that 80's cliff side sound to it when Conklin and the music starts to soar into the skies with sublime freedom. Breathtaking and a tone you can never replicate again. 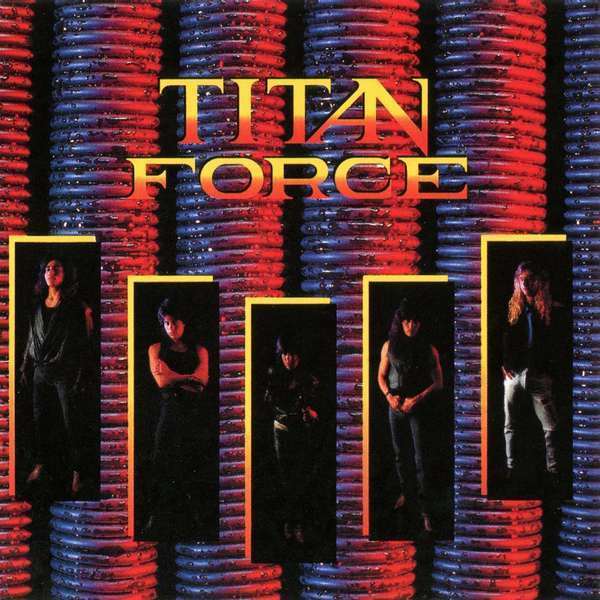 While many bands were starting to sweat as the 1990's crept in and tried to appeal to the masses with lame ballads or radio friendly tracks, even Judas Priest themselves, go grunge, or whatever... Titan Force here didn't give a damn. They weren't about to dumb down anything and the whole package feels like a perfectly crafted tale that they wanted to play and tell. The variety and technical prowess from each band member is constantly off the charts, yet I could almost easily say that this album is an incredible case of "less is more". Never do any of these tracks try to drone away into a tech/prog mess or overstay their welcome. Something you can't always say for bands that go for this style.Right out of the gate Chase Your Dreams should utterly blow your face off. Incredible guitar rhythms dazzle the entire track, the soft hypnotic gang vocals chanting the chorus and other lines in the background, the bass dances to the front, the drums keep it all prodding along, razor sharp leads slice things up, all the while Conklin showcases that this is going to be his greatest performance of all time, or rather one of the greatest metal singing performances ever recorded. The precision in his delivery is perfection, maturity since his performance on Ample Destruction. He has now completely mastered his gifted ability and sings his heart out, with an enormous range only few could dream of reaching, throwing a commanding punch that demands attention with the dimensions of his emotions displayed. From start to finish this entire album is a melodic prog USPM masterpiece with no weak cracks anywhere in sight. I don't even care for instrumentals much thesedays, but Will-O' The Wisp completely rules. Many fans may agree however, if there is that one ultimate track, it's New Age Rebels. It's the most epic, metalized, happy track I've ever heard. Chills.Still a hidden gem for whatever reason, this entire band definitely deserves more awareness. Fans of early Queensrcyhe, Fates Warning, Crimson Glory, Heir Apparent, Liege Lord, Vicious Rumors, and awesome classic USPM in general should be all over this one. Just remember, it might need some time to click! But when it does, it will dig its anchors into your bones.